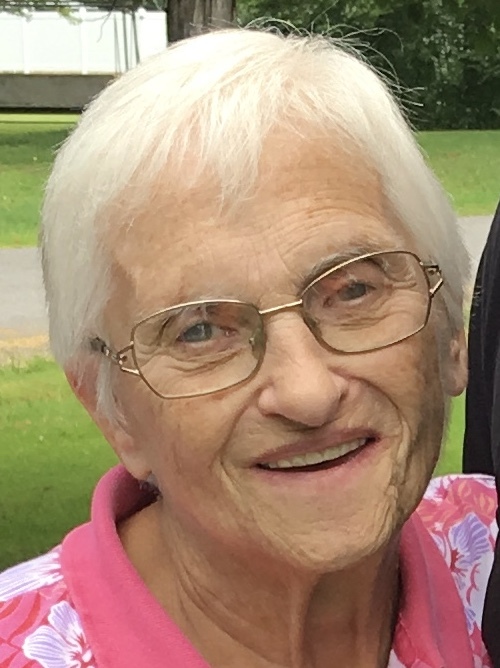 Nancy S. Hayes, 82, of 304 E. Elmwood Ave., Falconer, formerly 3595 Lake St., Jamestown, passed away in her home on Sunday, Sept. 2, 2018, after a brave fight against cancer. Nancy was born Aug. 22, 1936, in Franklinville, N.Y., to the late Earl and Margaretta (Chapman) Woodruff. She was a graduate of Franklinville Central School, after which she completed her nursing degree at the Buffalo General Hospital School of Nursing. On Oct. 26, 1957, she married her high school sweetheart, John W. Hayes, and they were married for 52 years before his death on Jan. 31, 2010. Nancy was employed by Olean General Hospital and WCA Hospital and then served as director of nursing at the former Manor Oak Skilled Nursing facility for 20 years. She later retired as CASA Unit Caseworker from the Chautauqua County Department of Social Services. In her earlier years, Nancy was a member of the American Nursing Association, the American Legion Auxiliary in Franklinville, N.Y., and the First Presbyterian Church of Franklinville. She was a blessing to her extended family by hosting an annual family reunion at her home for over 20 years. More recently, she was an active member of the Fluvanna Historical Society. She was also a member of her beloved Fluvanna Community Church and especially enjoyed the Senior Sippers ministry there. Nancy and her family appreciated all the expressions of care and concern shown by friends and neighbors during her illness as well as the excellent care provided by Chautauqua Hospice & Palliative Care. Surviving are her daughter, Katherine (Matthew) Utegg of Jamestown; a son, Ronald (Karen) Hayes of Jacksonville, Fla.; five grandchildren: Jaime (Jackie) Hayes and Jaison (Tina) Hayes, both of Jamestown, and Ryan (Jill) Hayes, Joshua Hayes and Jordan Hayes, all of Jacksonville; six great -grandchildren: Jaimon, Jayden, Julian, Johnathan and Jacik Hayes of Jamestown, and Jackson Hayes of Jacksonville; her sister, Norma Leederman of Rice, Texas; and her pet dog, Rascal. In addition to her husband, John, she was preceded in death by her parents and two sisters, Janice Hogue and Fay Mann. The funeral will be held at 11 a.m. Wednesday in the Lind Funeral Home. The Rev. Dayle F. Keefer will officiate. Friends will be received from 4-7 p.m. Tuesday in the funeral home. Memorials may be made to the Fluvanna Community Church Building Fund, 3363 Fluvanna Ave. Ext., Jamestown, NY 14701. Please visit www.lindfuneralhome.com to leave a condolence for the family.